Jury service is rarely thought about until you receive the letter, writes Qdos Contractor. All jurors are selected at random from the electoral register, and there's nothing to stop you getting called up more than once. Working as a contractor comes with unavoidable financial risks, such as the IR35 legislation and lack of job security. Being called for jury service is one of those things that many contractors just don’t consider in their financial planning and can therefore be a contractor’s worst nightmare, losing out on potentially thousands of pounds worth of income. Having an insurance policy which covers you specifically for this risk is a worthy and inexpensive investment (the annual premium for this cover is normally only in the region of £50 to £75); providing up to £500 per day (with a maximum of £5,000) cover should you receive a summons. Sometimes it is possible for contractors to be excused from jury service, or have their service deferred, but each situation is judged often differently by the court – and it depends on your circumstances and the type of contract you are undertaking. 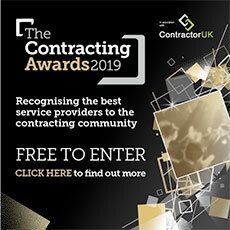 ContractorUK has partnered with Qdos Contractor who can provide contractors with jury service protection which also includes cover for a variety of legal risks.